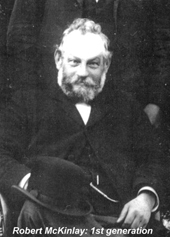 In 1870 Robert McKinlay arrived with his family in Dunedin, New Zealand. An immigrant from Scotland, Robert was a perfectionist and true craftsman. He established his own footwear manufacturing company in 1879 supplying boots and shoes to a growing Dunedin population. In the late 1800’s Dunedin boomed as the discovery of gold made the city the centre of New Zealand commerce. McKinlays prospered along with the city, supplying miners, farmers and city dwellers alike with quality footwear. More than 100 years later, McKinlays still prospers. The Company has retained all its production in Dunedin, New Zealand. Its marketing covers New Zealand and parts of Australia, as well as a small chain of stores in Japan and is distributed through selected retailers and Customer Direct for customers with no stockists in their area. Now being run by the fifth generation of McKinlays – brothers Graeme & David McKinlay. The company makes its footwear using the “veldtschoen” construction method as described below. Stitchdown: This is the only one construction where the lasting allowance is turned outwards. The insole is larger than the last. The upper outside curved edge is cement lasted to the insole. 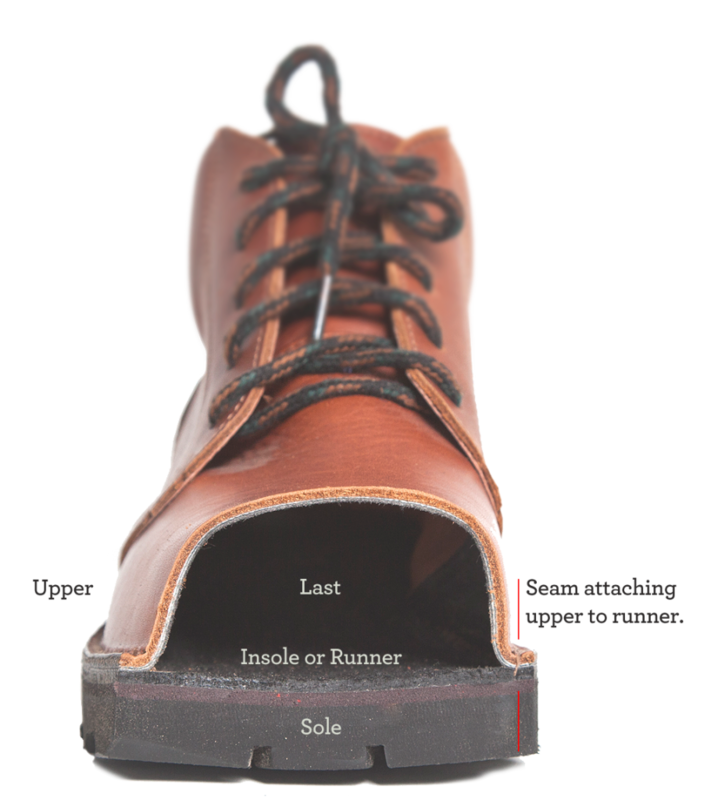 In some cases a thin micro cellular mid sole is also temporarily cemented with the insole. The sole itself is also cemented and all the elements are bound together by stitching. The excess material from the side to be cut before trimming. 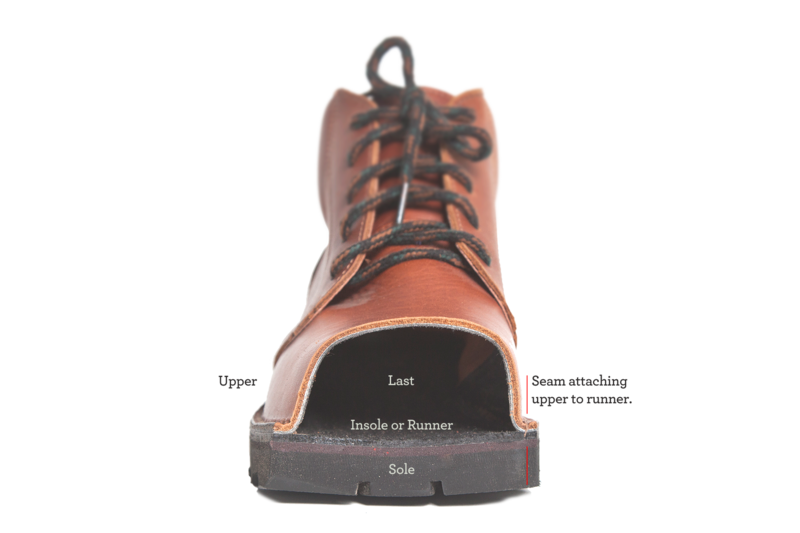 McKinlays also offers customised footwear, for people who have foot problems, cannot access our stockists, or who may want one-off styles made. Based on its orthotic (surgical) footwear making division, McKinlays can offer the expert advice of qualified orthotists and craftsmen on a range of foot problems. McKinlays offers a dedication to customer service and values quality and product integrity in presenting its shoes.